Anton Paar released in the market the new oxygen in-line sensor, OXY 510. Look here for more details. The new series SVM 2001 - 3001 - 4001 Stabinger viscometer came into the market to replace the older successful SVM 3000. With new better technical specifications. The new Rheometers MCR 72/92 came into the market. More affordable, with less accessories compared to the other MCR series Rheometers but with great capabilities. 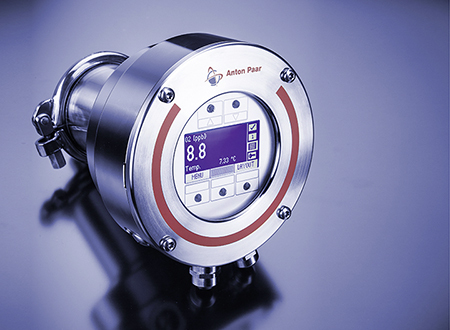 The new development of Anton Paar are particle size and z-potential analyzers. There are 2 models, the Litesiter 500 and its small brother, Litesizer 100. Look here for more details. After the very successful laboratory refractometers, the in-line L-Rix 510 was released recently into the market. Monowave 50 is the last development of Anton Paar concerning organic synthesis models. With conventional heating instead of microwaves but with a special design can have comparable performance. 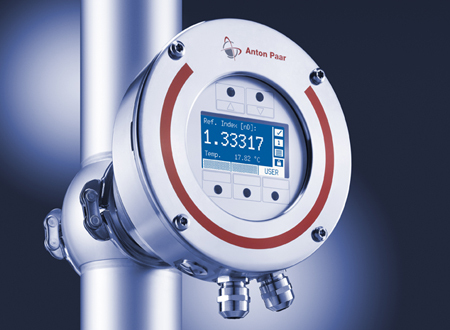 EasyDens is a new density meter developed by Anton Paar. It is a portable instrument without thermostating, specially designed for measurement of apparent extract. It is controlled by a mobile smartphone. It is only available by Anton Paar directly.